NuCypher is working to help secure private data on public blockchains by means of decentralized proxy re-encryption. Public-private key encryption has been used for decades to help secure information that is sent across networks. Decentralization and proxy re-encryption adds another layer to the public-private key encryption algorithms that have been trusted by the public for years. The trust and security issues related to associating sensitive data and public blockchains. The trust and security issues related to sensitive data present on private or consortium blockchains within enterprises. NuCypher describes itself as a “decentralized key management system (KMS), encryption, and access control service” (Egorov et al., 2018). It uses proxy re-encryption to help enable private data sharing across public blockchains and incentivizes participation using a native token, called NU. Proxy re-encryption is a type of public key encryption. Public key encryption is a type of encryption that requires each user to have both a public and private key. In public key encryption, the user’s private key is only known by the user, while the public key can be communicated openly; public keys are used for encryption, while private keys are used for decryption. Proxy re-encryption, “allows a proxy entity to transform ciphertexts from one public key to another, without learning anything about the underlying message” (Egorov et al., 2018). According to NuCypher: A Proxy Re-Encryption Network to Empower Privacy in Decentralized Systems, also referred to in this article as NuCypher’s whitepaper, NuCypher’s protocol is pseudo-anonymous, which means it doesn’t store participant’s identities. “It is highly beneficial for the security of the system that re-encryption nodes do not know what it is they are re-encrypting” (Egorov et al., 2018). According to NuCypher’s whitepaper, “In order to provide re-encryption services, a node needs to send its deposit to a smart contract.” More about how the system interacts with nodes and miners can be found in The NuCypher Token section below, with much more detailed information available in NuCypher’s whitepaper. There are many possibilities of use cases for NuCypher. Currently, encryption is used across millions of applications. One could anticipate that the demand for a type of encryption designed for blockchain applications could increase as the use of blockchain applications becomes increasingly commonplace. Some of the use cases for NuCypher mentioned in NuCypher’s whitepaper include sharing encrypted files, encrypted chats, patient-controlled electronic health records, decentralized digital rights management, secret credential management, shared credentials and enterprise password management, and more. 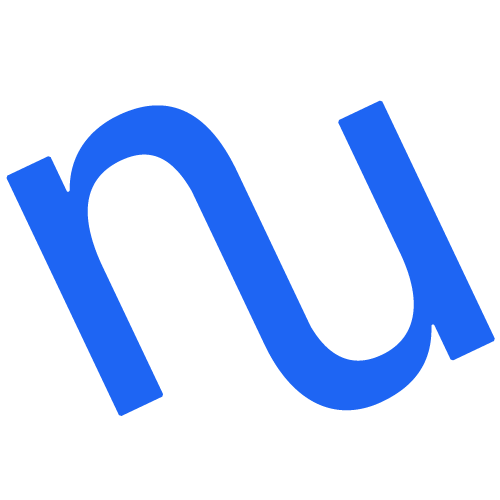 The NuCypher Token, also called NU, has been designed specifically for use with the NuCypher system. NU is used as an incentive for miners, which, in the NuCypher system, are re-encryption nodes (Egorov et al., 2018). NuCypher’s whitepaper explains, “the token should be hard to obtain, which means that no miner can get close to 50% of trust, keeping good decentralization of the system.” In other words, the token should be designed with prevention of a 51% attack in mind. In NuCypher’s whitepaper, the authors cite this type of attack as a reason for using NU instead of another existing token or cryptocurrency, such as Ether. Additionally, miners can be punished for cheating or providing incorrect re-encryptions by losing part of their security deposit. Miners could also be punished for leaking re-encryption keys by being forced to forfeit their collateral, which would disincentive leaking (Egorov et al., 2018). More information about the rewards for miners, such as the formulas used to determine rewards, can be viewed in NuCypher’s whitepaper. NuCypher is striving to create an encryption solution designed for blockchains and distributed applications which places importance on pseudo-anonymity. According to NuCypher’s website, they currently have two main products — Blockchain and Enterprise. Their Enterprise product is listed on the website as having been implemented with Hadoop and Kafka. The NuCypher team consists of many software engineers and cryptographers, among other professionals. NuCypher also has a blog, which documents community updates, team updates, and other happenings — such as blog posts commemorating such activities as joining Hyperledger and the Enterprise Ethereum Alliance. NuCypher’s commitment to pseudo-anonymity and decentralization could make it a potentially useful solution as more encryption is requested in blockchain environment. Egorov, Michael; Nunez, David; and MacLane Wilkison. NuCypher. NuCypher: A Proxy Re-Encryption Network to Empower Privacy in Decentralized Systems. (June 19, 2018). Retrieved from: https://www.nucypher.com/whitepapers/english.pdf. Accessed August 2, 2018. Also referred to as NuCypher’s whitepaper. NuCypher. (2018). Retrieved from: https://www.nucypher.com/. Accessed August 2, 2018. NuCypher Blockchain. (2018) Retrieved from https://www.nucypher.com/blockchain/. Accessed August 2, 2018. NuCypher Enterprise. (2018). Retrieved from https://www.nucypher.com/enterprise/. Accessed August 2, 2018. NuCypher Company. (2018) Retrieved from: https://www.nucypher.com/company/. Accessed August 2, 2018. NuCypher Blog. (2018). Retrieved from https://blog.nucypher.com/. Accessed August 2, 2018. Pierre, Derek. NuCypher. “NuCypher Joins Hyperledger.” NuCypher Blog. (June 27, 2018). Retrieved from https://blog.nucypher.com/nucypher-joins-hyperledger-38d650e4b33b. Accessed August 2, 2018. Caruso, Ryan. “NuCypher Joins The Enterprise Ethereum Alliance.” NuCypher Blog. (April 23, 2018). Retrieved from https://blog.nucypher.com/nucypher-joins-the-enterprise-ethereum-alliance-e054765ef917. Accessed August 2, 2018. DISCLAIMER: This is not sponsored. Information provided in this article does not constitute investment advice, financial advice, or any other sort of advice. You shall not treat any of the website’s content as such. Please do your own due diligence and consult financial advisory before making any investment decisions. Cypher Core will not be held responsible for the investment decisions you make based on the information provided in this article.